With a champagne flute in hand, the ocean below, and a velvety sunset above, the Champagne Cruise is a divinely blissful experience. The beauty of the bay and the romance of the ocean set the tone for a beautiful pre-dinner adventure for families and couples. 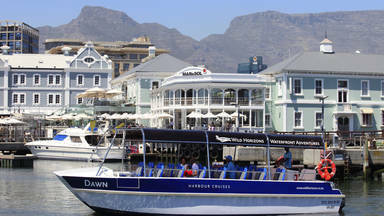 The cruise explores Table Bay, the sails towards Milnerton lighthouse, before gliding across Granger Bay through the shadow of Table Mountain. The journey loops back to the Waterfront, where passengers can admire in the spectacular mountain and stadium views. 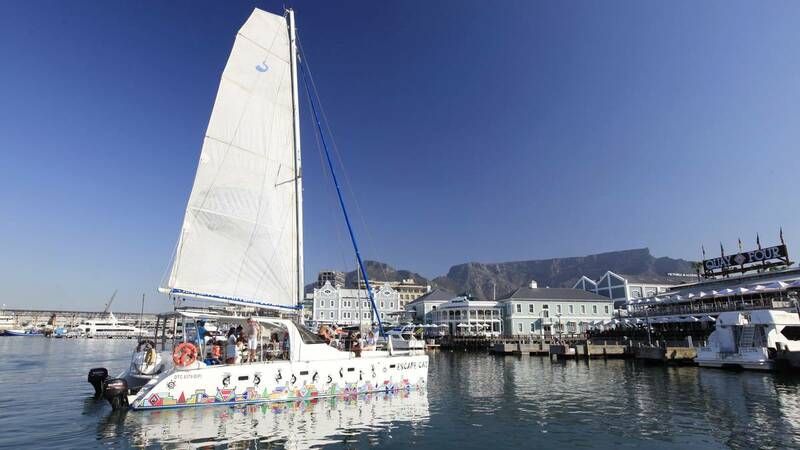 This 39ft sailing Catamaran offers a comfortable sailing experience along the Atlantic seaboard showcasing the iconic views of Table Mountain and the Mother City Cape Town. You have the choice of sitting on the foredeck and trampolines which is ideal for those summer days or alternatively, chat with the Captain in the aft undercover and still enjoy the fantastic views of the city. 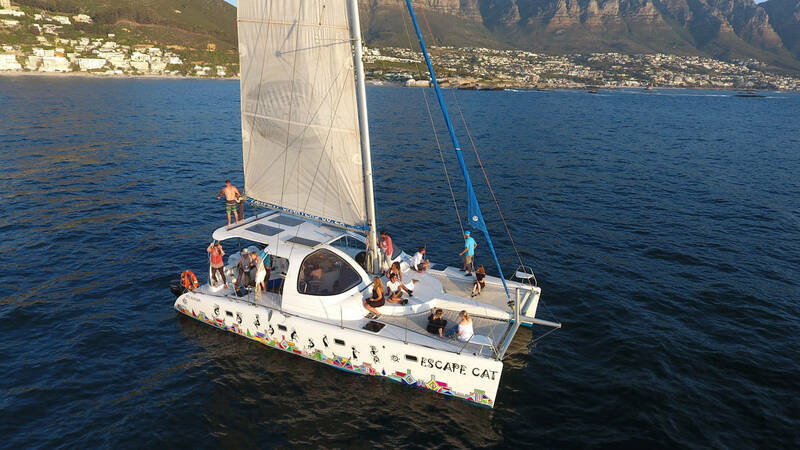 Escape Cat can accommodate 40 passengers and is perfect for special events or functions. On board is a bar that stocks local wine, beer and cold drinks and sound system for events. WhenThe service is available all year round. WeatherBoat trips operates in all weather conditions, unless there are gales and storms that would endanger passengers. What to WearBring warm clothing in winter months. Scarves and beanies are popular with guests in winter. In summer a light jersey or jacket may come in handy. Sport shoes (ie.tackies) are a good choice. Things to BringYou are allowed to bring along your own snacks. Guests or SpectatorsNo guests, only holders of valid boarding passes are allowed. 2 complimentary glasses of Sparkling Wine per person. Any additional drinks and food are excluded from the price. A fully licensed cash bar is available. Do take medication beforehand if you have previously experienced motion sickness.